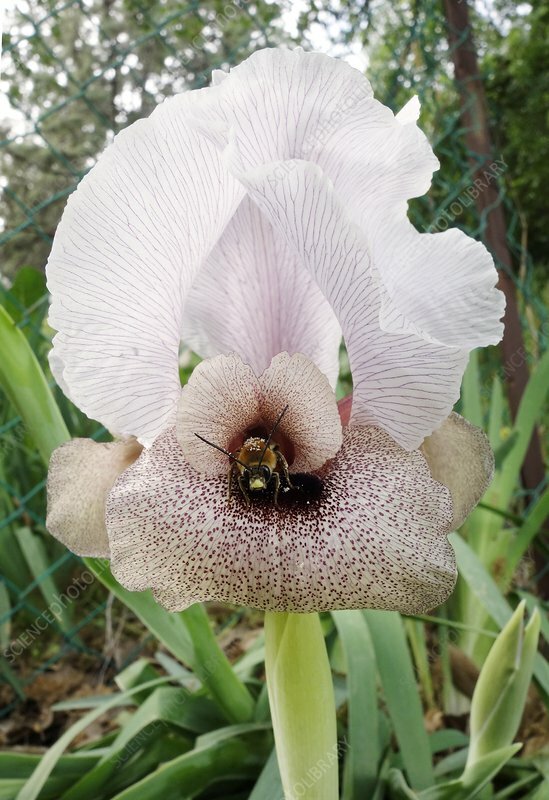 Iris lorteti with night-sheltering bee pollinator. This species of iris is endemic to northern Israel and southern Lebanon. The flowers produce no nectar, and are pollinated by solitary male night-sheltering bees of the genus Eucera. A bee of this genus is seen here emerging from the flower tube early in the morning, covered in pollen. Iris lorteti is endangered, as the bulbs and the flowers have been heavily harvested.